Publix will sponsor the 8th Annual Pinnacle Awards & Scholarship Gala produced by Live Healthy & Thrive Youth Foundation, Inc. (LHTYF) to support high school students obtaining a college education. ATLANTA - Nov. 12, 2018 - PRLog -- Live Healthy & Thrive Youth Foundation announced the 8th Annual Pinnacle Awards & Scholarship Gala on Friday, December 1 at the Georgia Piedmont Technical College, Conference Center in Clarkston. The event marks the organization's eighth year serving the Atlanta community while educating children on healthy lifestyle habits to help them avoid obesity, diabetes and hypertension. 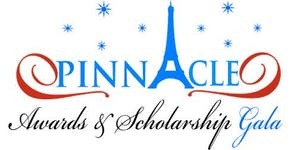 "We are honored and excited to honor such outstanding philanthropists doing extraordinary work in the community as well as give scholarships to deserving students for college," said Lori A. Manns, founder and president of LHTYF, Inc.
To make a tax-deductible donation, secure sponsorship opportunities or obtain more information, please visit the organization's website. Media interested in covering the event should call the LHTYF team at (800) 551-3775. About Live Healthy & Thrive Youth Foundation Inc.